All three daughters will be irrevocably changed by what follows, but none more than Lydia, who must draw on a power she never knew she possessed if she wants to protect those she loves. For Willow Hall’s secrets will rise, in the end. The story opens with the Montrose family and their three daughters—Catherine, Lydia, and Emeline—fleeing Boston, in the wake of a threatening scandal, for their new country home, Willow Hall. But, not everything is as it seems at the estate. A chilling presence haunts the grounds while the dark history of Willow Hall threatens to engulf the sisters in an unstoppable tragedy that only Lydia has the power to stop. One of the standout features of the story is the authentic-feeling the setting of Willow Hall and its surroundings. Taking inspiration from by her time spent as an intern at the real historic New England home, Barrett House, the author infuses the setting of the story with vivid details. Painting a picture of an idyllic estate haunted by its past. I found myself transported to Willow Hall and its gothic details which adds the perfect touch of sinister mystery. I love books that feature a strong sistership and this story captures the essence of family bonds. Told through Lydia's voice, the writing presents perfectly their sisterly relationship with all their ups-and-downs. The scandal that is hinted at the beginning of the book is slowly revealed keeping readers guessing as to which sister is involved. Lydia comes across as a sensible young woman yet there is an underlying edge to her that seems to be attracted to an unknown force that is present at Willow Hal—what that force is and how it's connected to the handsome John Barrett will keep readers on edge. A touch of romance is threaded throughout the story but I would have loved something a bit more fleshed out with our dark hero. A touch of witchery and the supernatural infuse this story. The sinister presence, a surprisingly helpful ghost, and tragedy all stalk the sisters, leaving readers grasping for clues all the while the author twists and thrills us. I was impressed by this debut. 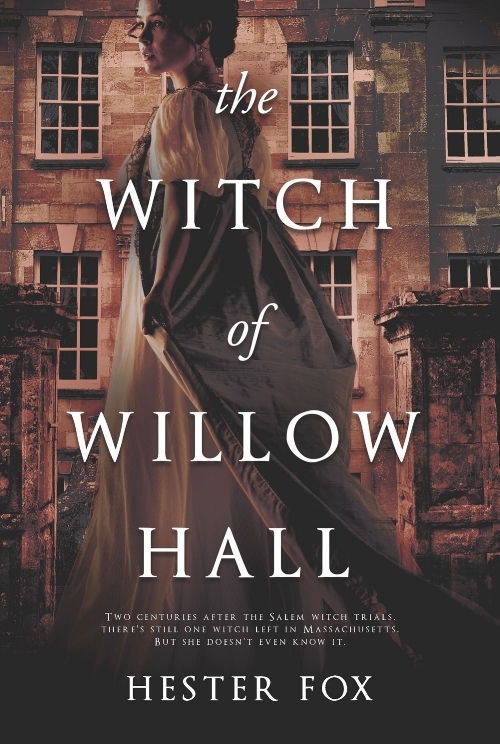 The Witch of Willow Hall by Hester Fox is an exciting new voice to watch for.